Boosting health with grapefruit essential oil? Yup. But it does so much more! Do you remember that scene in Dirty Dancing? Where, the morning after Baby’s father busts her with Johnny, the Houseman family is awkwardly eating breakfast in Kellerman’s dining room? I remember watching that scene countless times in my youth and wondering why Lisa was eating nothing more than a grapefruit for breakfast. I’m a huge fan of a hearty, balanced breakfast, and I’d never suggest skipping the most important meal of your day. However, there’s a lot to be said for including grapefruit when it comes to supporting a healthy diet. In fact, women have been including grapefruit in their daily diet since long before the invention of the bikini. I’ve been adding grapefruit essential oil into my daily diet for the past couple of months, but as I recently discovered, its uses are far greater than just weight loss support. Weight Loss Support – Just a drop or two of grapefruit essential oil in your water glass can boost your metabolism and reduce your appetite with its active ingredients. It also helps to shed water weight and, when applied topically, can have diuretic effects while stimulating the lymphatic system. See ya, Candida! – Candida bacteria forms in the gut through bad diet and excessive sugar consumption. Grapefruit essential oil can be a great warrior in the battle against the yeast and bacteria responsible for Candida, while also fighting UTIs (urinary tract infections). Cocktail Cure – Did you say “yes” to too much alcohol the night before? Add grapefruit essential oil to your water to stimulate your liver’s function, nip your headache, and support your body’s system as it detoxifies. Circulation Stimulator – Try using grapefruit essential oil to increase your body’s blood flow. This will help decrease inflammation and dilate your blood vessels. Know what that means? Headaches, PMS cramps, bloating, fatigue, and muscle pain won’t know what hit ‘em, ladies! Liquid Sunshine – Grapefruit essential oil, like most citruses, is a terrific pick-me-up! It can act as a mild antidepressant, sharpen your mental focus, and lift that mental fog on a Monday morning. Grapefruit can also support fatigue, aches, and sluggishness caused by an under-functioning adrenal system. Play Tress Up – Add a drop or two of grapefruit essential oil to your shampoo. Not only will it cut through the oil and sweat from summer days or intense workouts, it can also add volume and shine! Adios, Stress! 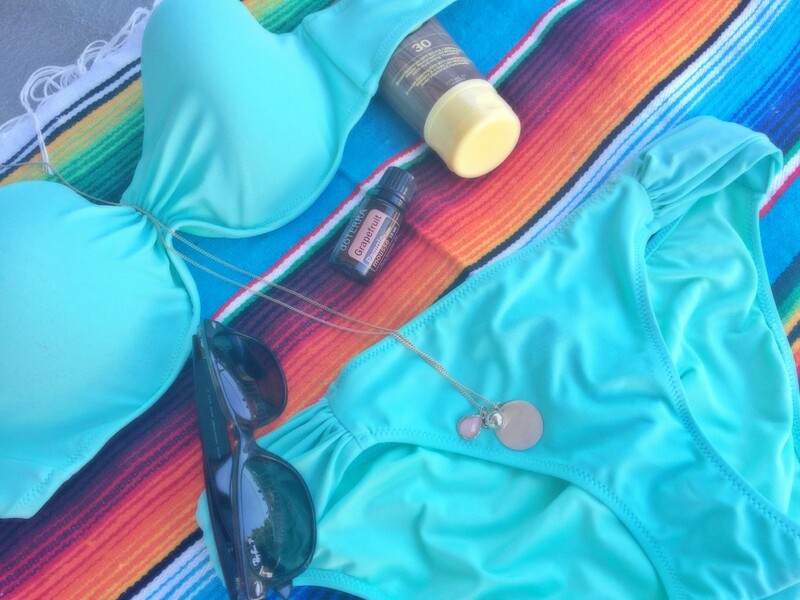 – Diffuse it, add a few drops to your bath, or wear it as a perfume. Any way you slice it, grapefruit essential oil’s uplifting and soothing scent will make you feel like a million bucks from the inside out. Clean Air – With its fresh, squeaky-clean scent, diffusing a few drops of grapefruit oil can kick unpleasant odours to the curb. 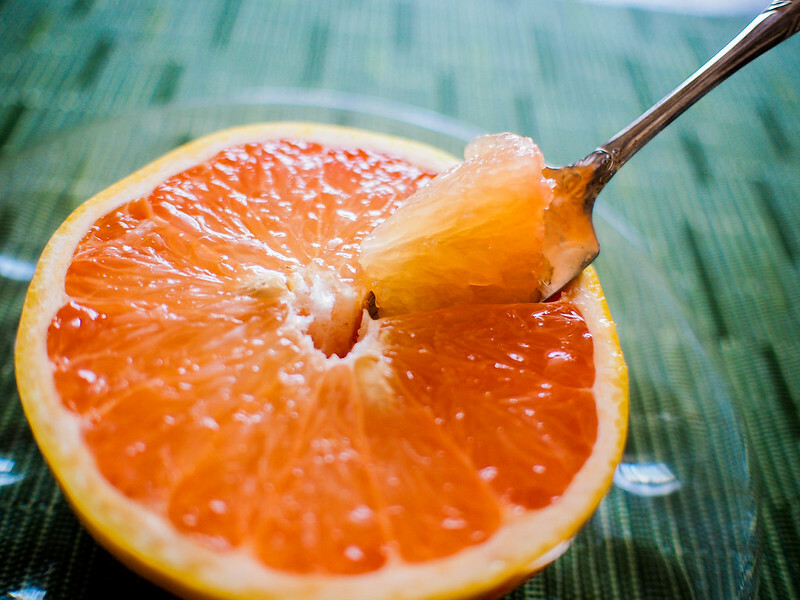 Grapefruit has natural bacteria-fighting properties, so it won’t just cover up the funk – it will eliminate it! Love Your Guts – All those other benefits I’ve listed above can get together and offer major support to your gut. By helping increase the blood flow to your digestive organs, grapefruit essential oil can help detoxify, get rid of excess water weight/retention, and battle the nasty microbes in your gut, intestines, and other digestive organs. That said – and trust me on this – no two essential oils are alike. Unfortunately, in Canada, the production of essential oils isn’t a regulated industry so chances are you don’t know what you’re getting. Just because it says “100% natural” on the label doesn’t mean it is. If you’re going to use grapefruit essential oil, whether internally, topically, or aromatically, make sure you’re using a high quality, pure, therapeutic-grade oil. If you want to know more about the brand I personally use and trust, I’d love to chat with you! Send me an email and we’ll talk!